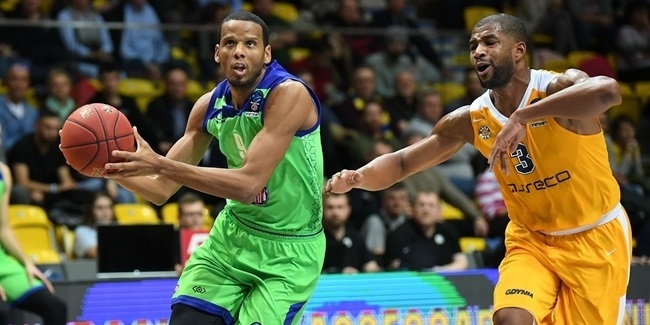 Tofas Bursa forward Kyle Weems checks in with the latest version of his EuroCupbasketball.com blog just before his team's crucial game against Limoges CSP with a ticket to the Top 16 at stake. The EuroCup game we have been waiting for is finally here! We have been waiting for this game against Limoges for two weeks. We know it is crunch time and if we get that win against Limoges, it puts us into the Top 16. This is what we had training camp for, why we logged all those hours in the weight room and meetings. We know what this game has in store if we get this win. It is going to be very important for our club, too. It would be the first time that the club makes it to the Top 16 and it is one of our goals. I would like to say it will be like any other game, but I don't think it will be. It is going to be very intense, very emotional, and Limoges is going to be fighting for its life. They have to win this one against us and will probably need one more win, but if they lose against us, they are done. We know they are going to come out and play extremely hard, but I hope we do the same, especially in front of our fans. At the same time, we have to treat it as a normal game. You cannot get too high or too low. We have to follow our normal routine and hopefully, we will come out, hit them hard, sustain it and get the win. We lost against them in Limoges and that is, of course, extra motivation for us. It was one of the better games that we played during a very tough stretch. We had a tough trip to Krasnodar to play against Lokomotiv, played a game in the Turkish League and left to play in Limoges. We played pretty good defense, but there was a stretch, right before halftime, in which we allowed them to take a 10 or 11-point lead. There was another stretch after that in which we got a 6 or 7-point lead, but we let them climb back and take back the advance going into the fourth. We just need to put together a complete game and if we do, we will be just fine, but we cannot have those five-to-seven minutes of bad basketball. As you can tell, in this competition, it can cost you. "It is going to be very intense, very emotional, and Limoges is going to be fighting for its life." It is a do-or-die game in early December, which tells you how hard this competition is and it will be very hard for us to advance without this win. We have to use all our energy, enthusiasm, focus and togetherness during those 40 minutes, during that two-hour stretch. We have to take advantage of this opportunity, for our individual careers, but more importantly, for this club. I pray and I hope that we can put this together and get the job done. Everyone wants to be in very good, winning situations. I have been a part of some really good winning teams and am fortunate to be able to say that. I want Tofas to have a winning culture, a winning team in Europe. This is why I signed here and hopefully, we can make it happen. I definitely think about the run I had with Strasbourg in 2016 and that series against Galatasaray a lot and I still have kind of a bad taste in my mouth about it, so this is one of the reasons why I want to compete as long as I can in this competition and see what happens. We had a pretty good team and a special group of players. We had great leaders, Mardy Collins was a good leader, I brought leadership qualities myself, Rodrigue Beaubois has had a fantastic career after that and also we had Louis Campbell, a great guy on and off the court, and Matt Howard. It was a great group of guys that was put together by Coach Collet. We struggled a little bit early, getting to know each other on and off the court, but when we got it straight, it was a beautiful thing and I was definitely blessed to be a part of that team. It might be the case this time, too! 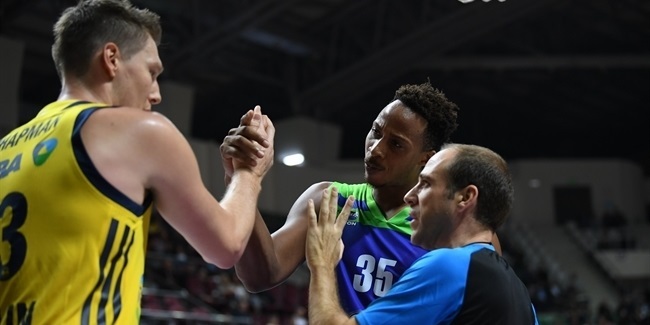 We are still getting to know each other on the court and have a bunch of interchangeable pieces and we just got Baris Ermis back after a three-week injury. We are excited to have him back to relieve a little bit of pressure off of Diante Garrett, who had to bring the ball and play so many pick-and-rolls. We are looking forward to the next games with Baris back. And of course, we play at home and that is a great plus. Our fans are great! We have great support around the city. When fans see me, they always say hello and are very nice. At times, when they need to, they can get rowdy, and that makes it a little bit easier for us. We truly have a home-court advantage and I hope that makes the difference against Limoges. We had two home losses in the competition and both of them were in overtime. We definitely need to use that home court advantage to feel comfortable. 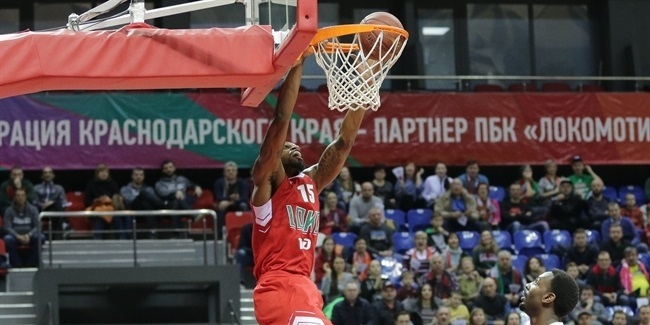 "I want Tofas to have a winning culture, a winning team in Europe. This is why I signed here and hopefully, we can make it happen." Speaking of feeling comfortable, I love it here in Bursa. For one, there is no traffic! That is the one thing about Istanbul that I do not miss. There are not as many American-style things, but I am fine with that. I am more of a stay-at-home person and spend a lot of time with my family, taking my son to different parts of the city. We don't go out to eat too often and Bursa is perfect for us. They have some very good restaurants and Turkish food is great. I am enjoying my time here and am looking forward to the future, too. Last season, Tofas was 4-6 and did not advance to the Top 16, so everyone wants to be there this season. When our coach talked to us for the first time in the preseason, he said it was one of our goals. We know we are able to do something special. We let a couple of games slip and we understand that, but we have been blessed with a huge opportunity against Limoges on Wednesday. I will play as hard as I can, bringing in the energy and enthusiasm that I always bring, and hopefully, we can put together the perfect 40 minutes and get Tofas where we want to be. And once we care of business, we can start thinking about the future.